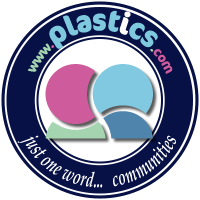 Our aim is to address the technical skills gaps in the Plastics Manufacturing industry's in South Africa and across Africa - from the shop-floor through to management levels – by increasing efficacy and efficiency in the workplace, reducing scrap, increasing employee morale, and ultimately maximising your company’s productivity levels, saving you time and money. We understand that time equals money, so our face-to-face courses are as short and as intense as possible, and the computer based programs on offer allow training to be accessible at any time that employees are available, on site, 24/7. We offer Public Courses during the year, as well as customised training programmes to meet our clients needs. Want to find out how you can get started today? This 6-day training workshop is geared for people that are currently setters and assistants, supervisors and team leaders, Process Engineers and technicians, Operators and mould changers, toolmaker and engineering maintenance crews, etc. Setting up a new product order from beginning, to quality status, at the correct speed and with a robust process set-up. Multiple learner discount: Bookings of 5 - 9 learners on the same course qualify for an additional discount of 5% - 10%! This Training Workshop is intended for people who need to be able to set or advise on setting the Injection Moulders to achieve and maintain a consistent quality, output at the correct speed and cost. As this is an advanced course, candidates must have the relevant workplace experience or training (to NQF Level 3) to ensure that all course content will be clearly understood & applied.